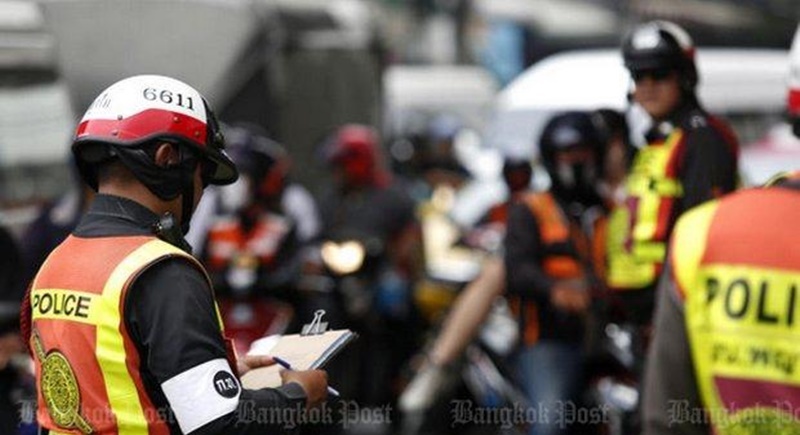 BANGKOK: About 370 traffic police officers, or 10% of officers in the capital, have been banned from issuing infringement notices after they failed a test on traffic laws, according to the Metropolitan Police Bureau (MPB). About 10% of the city’s 3,719 traffic police officers failed the test which was conducted on Aug 27 with the participation of traffic police officers from the ranks of deputy inspector to non-commissioned officers, MPB deputy chief Jirapat Phumjit said. The test was aimed at establishing a proper work standard among traffic police, said Maj Gen Jirapat Phumjit, who is in charge of traffic affairs. Despite the failure of 370 officers, many traffic police were found to have scored full marks from 50 questions, he said. Those who failed the exam must undergo the test again until they pass in order to have the authority to issue traffic tickets again, Maj Gen Jirapat said. The topics many officers obtained high scores for concerned legal knowledge, including the Land Transport Act, and the Motor Vehicle Act, he said. However, they obtained low marks on knowledge of new traffic regulations. The exam results are satisfactory, he said, adding this signified that officers had prepared themselves well before sitting the test. This suggests they are ready to work on the ground to enforce traffic laws, he said. Thats a terrible low score. But no shock really. I bet on Phuket the score will be even lower. I am sure that in other areas of the law the standards will be just as poor when it comes to things like immigration, work permits and the like. 10% of police did not know the road and traffic law in their chosen area (traffic). Thats really bad but as so many people will say not a surprise.